Need a tutor? I am now a private math tutor and computer science tutor! Please visit my Web site for more information. Patrick made on Sunday 5/5! We (especially Rowan) made on Friday 4/11! Test review packet for test on Wednesday, April 30. Effort on this is a key to success! 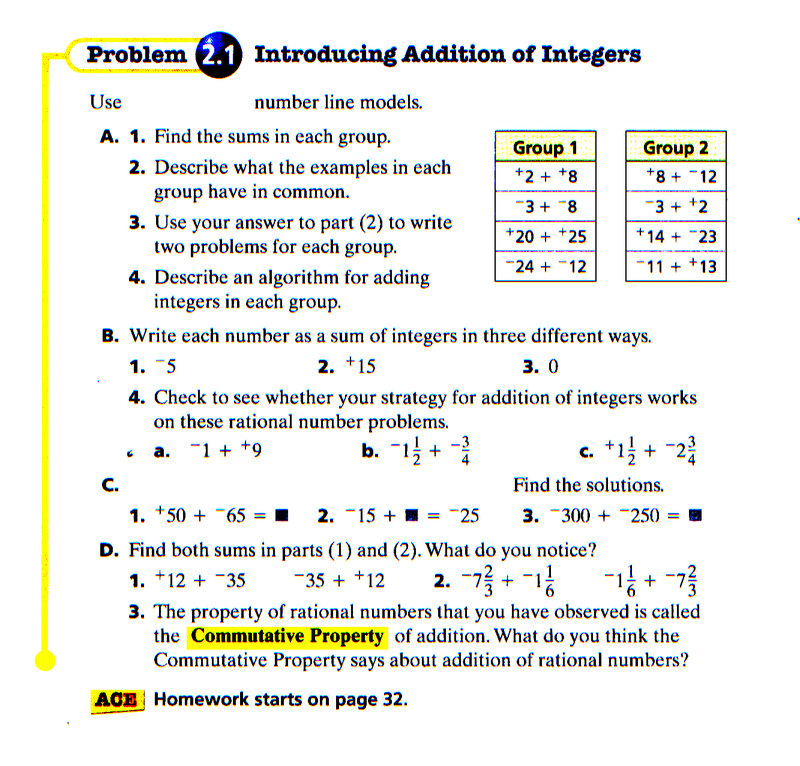 Due Wednesday, April 9: ACE 20-24, 39a-f, integer worksheet and Problem 2.1: Introducing Addition of Integers. Due Wendesday March 26: Accentuate the Negative Investigation 1 ACE questions 5, 9-19, 44-47. Also learn 12's table again. Due Wednesday March 19: Investigation 4 ACE questions 4, 5, 15-17. Also learn 12's table. Due Wednesday March 12: Investigation 3 ACE questions 3, 9, 27-31. Also learn 9's table. Due Wednesday March 5: ACE questions 4, 8, 12. Also learn 3's table. Positively Negative virtual number line.